"The Real Estate Broker with the English accent !" To paraphrase Will Rogers "Jeannette knows what she is doing, she loves what she is doing and she believes in what she is doing." I relocated from UK in 1994 to Spokane WA with my USAF hubbie & daughter. Got my real estate license that year and have been passionate about this profession ever since. I love working with Sellers and Buyers, Relocation and Military clients (been there done that), Seniors and First Time Buyers. I embrace education and technology and use both to better serve my clients. Luv, luv my Samsung phone & tablet and how they allow me to keep in touch with my world of family and real estate - utilize social media with Linkedin and Facebook. For info on the Spokane Real Estate market go to my website - link is up at the top, to the right of "Ask a Question" under "Contact Me"
I volunteer at the the Sacred Heart Children's Clubhouse and donate from my closed transactions to the Children's Miracle Network. - Miracle Agent. My other passion is riding my Harley Davidson Softail Deuce, around town or across the country - trips include Run for The Wall, supporting veterans riding 3500 miles to DC (via UT, NM, CO, KS, MO, IL,IN, KY), and to Milwaukee WI for the HD HOG Anniversary parties. Ride with the Patriot Guard Riders, standing in flag lines at military funerals. Slogan "The Real Estate Broker with the English accent!" I confirm that I worked with Jeannette Karis in the buying or selling of this property. - Jeannette helped us greatly with purchasing our first home! We were inexperienced, first-time, VA buyers, and Jeannette guided us carefully through each step while demonstrating detailed knowledge of the home buying process (especially the VA loan process). She was extremely quick to respond to any questions or concerns which made it easier to navigate the process! We never waited more than a few minutes for a response and she always provided ample detail and demonstrate great knowledge and experience. - Jeannette Karis's professionalism, dependability, trustworthiness and many years of “Real Estate” experience was one of the major deciding factors for me as a first-time homebuyer and seller to acquire her “Expert” real estate services. Other factors were Jeannette’s open and friendly personality. Jeannette took all the stress that is normally associated with buying or selling a home out of the equation by simply listening to my real estate needs, keeping me well informed throughout the process, and taking the time to ensure I was fully familiar with all the terminology that comes along with selling or buying a home. I would not hesitate to recommend Jeannette Karis services to my family , friends, or co-workers, she is an expert in her field of work. - Jeanette helped us purchase a new home while selling our current home. She was easy to keep in touch with, didn’t hound us like some realtors when we first expressed interest in buying, and was very transparent in her role. I liked that she supports a charity with her sales, too. Most of our paperwork was completed online, which made the process very smooth. She showed great care in finding us a home within our means, needs, and style. 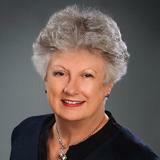 - We worked with Jeannette in both buying and selling a home. We were very pleased with her experience, market knowledge and responsiveness. We always felt like a priority. Most importantly, she was just a joy to work with. We would absolutely use her again. - My husband and I cannot say enough about the experiences we have had dealing with Jeannette. Her knowledge of the real estate market is unmatched. She not only helped us sell our home at a great price in a buyer's market, but helped us purchase a home for a great price in a seller's market. The thing I love the most about Jeannette is how closely she listens to her clients. She looks at your needs and affordability and will not waste your time showing you unsuitable homes. (However, she has a great knack of sparking interest you may not have known you had!) We are unbelievably happy with the purchase of our new home and we owe it all to Jeannette!!! - -	My son was so impressed with Jeanette's service when he did a 1031 rollover that he recommended her to me. A son doesn't put his father in the hands of another lightly and my son rarely recommends anyone for fear it will reflect poorly on him! Adding to this, I was a realtor over 35 years and know the business. Like Doctors make the worst patients…Old realtors make the worst clients! But, Jeanette knows real estate and she knows her market very well. She helped me with an out-of-state 1031 rollover to an in-state-purchase. Her professionalism, knowledge and grace allowed her to work seamlessly with an old retired realtor, my selling agent, my 1031 company and my attorney in fact. She had no trouble integrating all that with a sales team that she built and she was able to smooth out all the bumps and fill all the pot holes to make this transition into a smooth and easy purchase. - - tI can go on and on about how great Jeanette's service was, but the best thing I can say in short is… After working with Jeanette, I knew her capabilities and trusted her so completely that I referred both my Father and Fiancée to Jeanette. n- tJeanette gave OUTSTANDING service in all areas except one, and there she went above and beyond!!! n- tI was looking to make a more complicated sale and purchases than the run of the mill. I was selling a long time rental, to purchase and newer house as a rental. Jeanette knew some of the ins and outs of a 1031 rollover, but where her expertise ended, she brought in a team of people to help complete the task. Ultimately, her team saved me several thousands of dollars as fees constant with this endeavor are normally much higher. Her knowledge and network made this transition painless and cost effective. - We utilized Jeanette two years ago to buy our house. She was so helpful and walked us through every step of the process. n nRecently we decided to refinance and when we had been challenged with a low appraisal she stepped up to look up additional comparable sales which led to the appraisal company re-evaluating our home and giving us what we were hoping for. She did this with one phone call and on her own time. Words can't say enough how we appreciated her effort! - Jeannette was a delight to work with. Moving all the way from Maryland, we had plenty of questions about the area regarding everything from local activities and stores to geography and schools. Jeannette was able to answer all our questions or tell us precisely where to find the answers we sought. During the offer and closing process she was helpful, proactive, and highly responsive. She made us aware of everything we needed to know before we needed to know it, and provided or directed us to all the records and documents we needed. And even after closing she lent a supportive hand as we orchestrated and conducted our cross-country move. We highly recommend Jeannette! - She was very friendly, had great advice for first time home buyers, and was willing to go above and beyond without being asked! We couldn't have asked for a better realtor to work with. We went in a little intimidated by the whole process, but thanks to Jeanette we are confident we got the best deal on the best house for us! - Jeanette went above and beyond as our realtor! I couldn't be more satisfied with how much help she was to selling our home. We live across the country and were selling this house from afar and she went out of her way constantly to be my eyes, ears and suppport in all we needed to do to get our house ready to sell. I would recommend her to any of my closest friends or family! - Jeanette was a pleasure to work with throughout the entire process. She stayed in constant communication with us, the listing agent, and the lender. This led to a quick, worry free close with absolutely no issues.